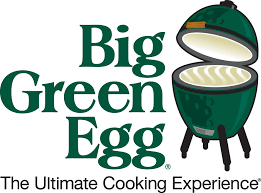 LDEI Atlanta Annual Business Meeting and Potluck at the Big Green Egg. Please bring a dish and beverage to share and join us for the festivities! Registration deadline is June 7th. Please note that the event is for members only. Chefs from Atlanta’s top restaurants, paired with our area’s best farms will be set up in a tasting format alongside fine wines and premium micro-brews. All under festive big-top tents on the expansive and pristine lawns of Foxhall Resort & Sporting Club just 35 minutes from downtown Atlanta near Douglasville. Other highlights include: a one-of-a-kind cake raffle featuring sweets from Atlanta's top pastry chefs, and an expansive silent auction offering exclusive dining, travel packages and food & wine merchandise. Visit AITC EVENT PAGE for more information and to buy ticket. We are looking for sponsors. If you would like to promote your brand at our event, or know someone that would be interested check out the sponsorship packages we have available below. We are also happy to customize a package based on your needs. The exhibition explores how barbecue has come to claim an enduring place at the American table, and how it connects us to cultures around the world, in addition to traditions, history, and the future. Ticket also include food provided by Jim ‘N Nick’s Bar-B-Q and (2) two drink tickets to the cash bar. We will be holding our AGM on Wednesday, September 12 from 6:30 to 8:30 at Dame Suzy Sheffield's "Salt Shack"--the home of Beautiful Briny Sea located in Grant Park. It's a potluck theme and the meeting is for members only because we have some exciting business to cover and an official introduction of our New Members! Bring your favorite dish and wine to share! Board President Angie Mosier lives in Grant Park and would love to encourage you to utilize Marta to get to our September meeting. Angie is offering to caravan anyone from the King Memorial Marta station that is very close to Beautiful Briny Sea. If you are interested, please contact Angie at 404-374-6674 or email her at angie@angiemosier.com and she will set up some caravan times. That way, Dames can relax on the train rather than fight traffic and then she can either take you back to the station or you can carpool or take a ride sharing service home. It's a great way to travel throughout the city during peak traffic times! Our April event will take place at Vino Venue, the brainchild of Atlanta Wine School founder Michael Bryan. Vino Venue in Dunwoody is a restaurant, wine bar, event facility, wine and cooking school, retail emporium and travel company featuring culinary and wine tours. All under one roof! Our Dame LELIA BRYAN has secured this location for us to host our April event, Monday, April 9th 6:30 pm - 9:00 pm. We will have 4 tapas items served along with paired wines. Attendance limited to 70 guests. The Atlanta Chapter of Les Dames d'Escoffier International invites you to join us at our 13th Annual Dinner and a Movie Event. Dame Cathy Conway of Avalon Catering will be featuring an exclusive private screening of America’s First Foodie – The Incredible Life of James Beard. This promises to be an exciting evening with a James Beard inspired menu. You can BYOW, and we will have a cash bar offering cocktails, wine, and beer. We are reviving DAMES WHO DINE as we gather for a fun and casual evening on February 19th at Hampton and Hudson. Food and beverage is on your own and you may choose to stay as long as you like. We are arranging the time and place for Dames to connect and gather. We just ask that you RSVP by registering so we know how big of an area to block off. Les Dames d’Escoffier, Atlanta invites you to join us at our annual Culinary Futures Event on January 11, 2018. The Ritz Carlton Atlanta, renowned as an Atlanta landmark on the social scene, has created a memorable culinary experience for this year’s one of a kind cocktail party and fundraiser. View menu here. Along with honoring our Aspiring Culinarian Scholarship recipients, Jordan Fessehaie (2014), Eboni Hughes (2015), Makensi Petrin (2016) and Alliyah White-Amos (2017), the evening will include an exciting raffle for culinary inspired products and experiences. **Ticket price includes access to The Atlanta International Gift & Home Furnishings Market at AmericasMart Atlanta for Friday, January 12th – Sunday, January 14th. AmericasMart is a wholesale Market open only to members of the home furnishings, design, gift, apparel, and fashion industries. Passes cannot be purchased to the mart – this is a rare opportunity for anyone who is not in the industry to gain access to this exclusive wholesale shopping experience. The Atlanta Chapter of LDEI celebrates its annual Home for the Holidays event on Tuesday, December 5th, 6:30 pm - 9:00 pm at the stunning Guy Gunter Home. Mix and Mingle as we close out the year with our last event in 2017. Please join us for our final event by bringing a festive potluck dish and your choice of beverage. Our Holiday event is a complimentary DAMES ONLY event. Parking is available in the Guy Gunter lot and we highly encourage using UBER or Lyft. In the true spirit of giving during the holidays we ask that you also bring a check made payable to the Atlanta Community Food Bank. Your generosity assists the ACFB in their work to end hunger in our community. Please register for the event by November 28th so we know you will be joining us. REGISTER TODAY! For more information on Guy Gunter Home please visit their website HERE. For our October event we are going International with the help of Global Growers. Join us on October 16th, 5:00 pm - 8:00 pm, where we will experience and learn about their program and their first farm Umurima located in Decatur where our program will take place. It is a One-acre garden managed collectively by 7 farm families. The first farm project of Global Growers that inspired many others to follow suit. 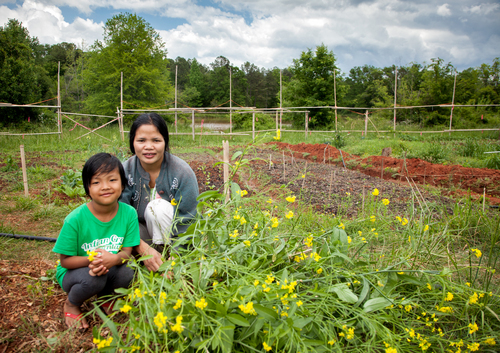 Global Growers is the only organization in Georgia that connects the agricultural talent of the local refugee community to opportunities in sustainable agriculture. Global Growers specializes in providing comprehensive agricultural support including: farmland acquisition and management, aggregation and distribution services which facilitates market access and sales for partner farmers, as well as education and technical assistance in organic fruit and vegetable production. Global Growers is an independent 501c3 nonprofit organization based in Atlanta, GA.
We will tour the farm and garden between 5:00 pm - 6:00 pm. Immediately following the tour we will hear from Global Growers leadership team and continue networking while enjoying food grown and made by the refugees involved with Global Growers. As our event is being held outdoors on a farm, please wear appropriate attire and shoes. This is a rain or shine event. To learn more about Global Growers, please visit their website http://www.globalgrowers.org/ and join us on October 16th. Join us for our annual Hatch Chile Celebration on Sunday, September 10 from 2:00 pm - 5:00 pm at Big Green Egg Culinary Center. Dames, guests and family will enjoy great barbecue and Hatch Chile recipes. Plus an ice cream bar, grilled-lemonade stand, face painting and music. Wine, Beer and Non-Alcoholic Beverages will also be Included. 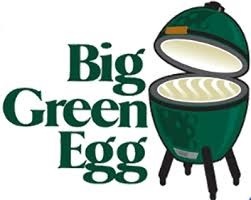 A popular backyard staple and an invaluable culinary tool for restaurants – the MiniMax Big Green Egg has a compact size that is perfect as a table-side cooker at your garden party, handy as a traveling EGG for campers or motorhomes ... or the ultimate solution to grilling on balconies for an intimate dinner for two … the MiniMax EGG is sure to deliver oversized results in a small package! Including viewing of the Andy Warhol exhibit (6:00 - 7:00 PM), a Warhol-inspired menu, and full bar. Review the menu for the evening HERE. Join us as to honor our 2017 Scholarship and Grant Recipients. 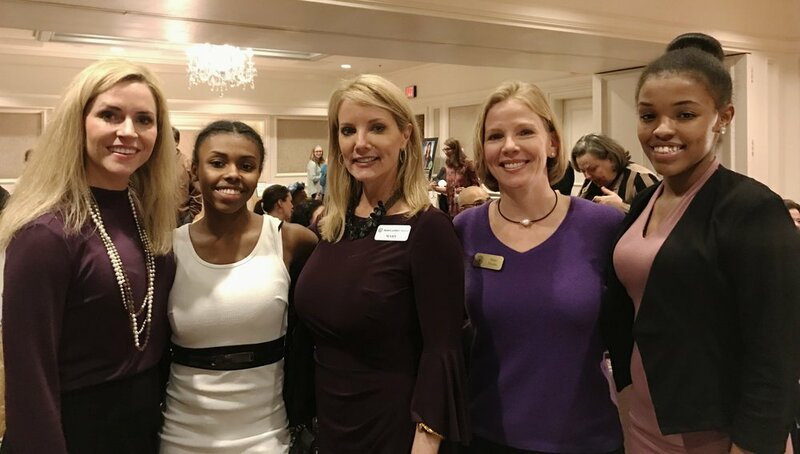 As a member or supporter of the Atlanta Chapter of Les Dames d'Escoffier International, you contribute to our mission of education, scholarship and philanthropy and we invite you to celebrate the women that benefit from your dedication to our Chapter. The celebration also features our popular chapter raffle that includes a variety of culinary experiences. Enjoy the High Museum's current Andy Warhol exhibit from 6:00 - 7:00 PM, as well as a Warhol inspired menu and full bar prepared by Dame Sally Rueda of Dennis Dean catering. Registration includes: Viewing of the Andy Warhol exhibit (6:00 - 7:00 PM), a Warhol-inspired menu, and full bar. We have limited walk in availability this evening. If you are interested in attending, please contact Dame Natasha Cary 404-808-1279 or natasha@flavorexp.com. Parking is available for $15. Enter the High Museum on Peachtree Street. The Atlanta Chapter, Les Dames d' Escoffier International, in partnership with Chefs Fuyuhiko Ito and his wife, Dame Chef Lisa Ito, owners of Umi, invite you to "An Evening of Japanese Food, Culture and Tradition." Dames will experience the essence of Japanese Omatemashi culture at Himitsu (secret) which is a "by reservation only" Japanese craft cocktail lounge. The unique cocktail program is the creation of world renowned Cocktail maestro Shingo Gokan and executed by T. Fable John and his bar team. Chef's Fuyuhiko & Lisa Ito of Umi contribute to the small bites and late-night dessert program. Special guest Ms. Tomoko Ohyama of the Japanese Consulate will present an historic overview of culture and tradition that are reflected into the exquisite cuisine selected and artfully prepared by Chefs Ito. Full bar and tasting menu. CLICK HERE to view the exciting menu. Complimentary Valet Parking shared with Chops/Lobster Bar off of West Paces Ferry Road NW. Please bring your ticket for validation. Join us as we welcome the outstanding women to the Les Dames d'Escoffier Atlanta Chapter Class of 2017. A very special thank you to the Class of 2016 for their support and enthusiasm in coordinating this event. Hors d'oeuvres, Wine, Beer and Non-Alcoholic Beverages Included. Click HERE to view the complete menu. This is a Dames-only event. Complimentary valet parking provided at King Plow Arts Center. You're Invited to Picnic in the Park benefiting Wholesome Wave Georgia on May 7th. On May 7, guests will join together for a Sunday afternoon picnic benefiting Wholesome Wave Georgia (WWG). Some of Atlanta's favorite chefs and restaurants will provide picnic baskets to be shared among guests as they dine al fresco, while enjoying beer and wine, live music, dancing, lawn games, and the beautiful scenery of Atlanta's public parks. Guests will have the opportunity to bid on gourmet picnic baskets and win prizes provided by local chefs and restaurants. Tickets are $35 for a two-person picnic basket and $70 for a four-person basket. This annual event aims to raise community awareness of and funds for Wholesome Wave Georgia, an organization that believes that all Georgians should have access to fresh, wholesome and locally-grown food. For more information and to purchase tickets please click here. Join us for our Annual Business Meeting and some Farmers Market Fun! Now in its eleventh year, Peachtree Road Farmers Market is a leader in the community. PRFM is the largest producer-only farmers market in the state. Producer-only means that everything at the Market has been grown, raised, or made by the seller, ensuring fair prices for both the vendors and the consumers. Dame Lauren Carey at Peachtree Road Farmers Market is buying each Dames first beer from the Wrecking Bar and giving $5 of market money toward whatever each Dame wishes to buy at the market for dinner. Dames will get a coupon from the market tent to use for their beer and market purchases. There are 20-25 vendors each Wednesday with a variety of dinner options including but not limited to: S&J’s Wood Fired Pizza, Heritage Farm proteins grilled on a Big Green egg, whole grain salads, Crepe Masters, Flora & Flour savory biscuit sandwiches, Little Tart Bakeshop, King of Pops and Taco Wednesdays by our own Dame Jenn Robbins. Bring your shopping bags and visit the market which opens at 4:30 PM on Wednesdays. Pick up your beer & food coupon at the market tent, purchase your supper and make your way to Child Hall for our meeting that will begin at 6:30 PM with drinks & supper followed by our meeting and our great chapter raffle. Please REGISTER by Wednesday, April 26th. An evening to celebrate and experience a peek into the future of food by design with innovations in sustainable food and agriculture. 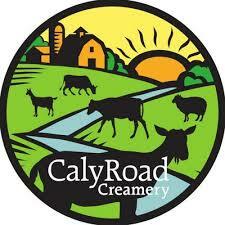 The event will also include an exciting raffle that features culinary inspired products and experiences. Atlanta, Georgia Green Tables Mission: Les Dames d’Escoffier, Atlanta Green Table’s initiative mission is to inspire and promote a community table, whose centerpiece is focused on whole, local, and sustainable food. Early registration closes on April 12, 2017. Event can accommodate up to 150 people. Where Desserts, Fun, and Science Meet!